This intensive online training is designed specifically for individuals who are inspired to share the tools of mindfulness with teens. 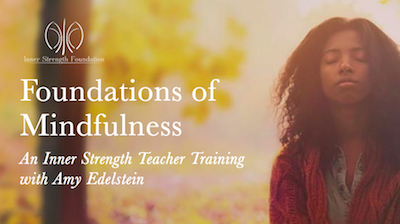 Classroom teachers, out-of-school-time instructors, mentors, and parents can all benefit from learning a tested, effective, and age-appropriate way to teach 7 foundational mindfulness exercises to teens. This system has empowered more than 5,500 high school students – let the teens you work with experience the empowerment too! For more information and registration click here. Amy Edelstein is a powerful communicator of ideas that can transform ourselves and the culture we live in. In 2014, she established the Inner Strength Foundation, which has trained over 5,500 Philadelphia high school students to work with the tools of mindfulness and systemic thinking and realize their higher potentials. Amy was recently awarded the 2019 Philadelphia Social Innovators Silver Award for ISF’s work in Anti-Violence. 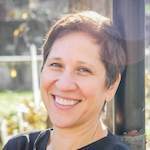 She has thirty-five years experience with contemplative practice and is author of several books including award winning The Conscious Classroom.